Welcome Home! This charming Cape Cod is waiting for you! On the first floor you will find 2 spacious bedrooms and 1 full bath, with new tile flooring! The kitchen offers white cabinets, ample storage and counter space! Just off the kitchen there is a large living room, with gleaming hardwood floors that run throughout the whole house. Plus an enclosed porch perfect for a mudroom! 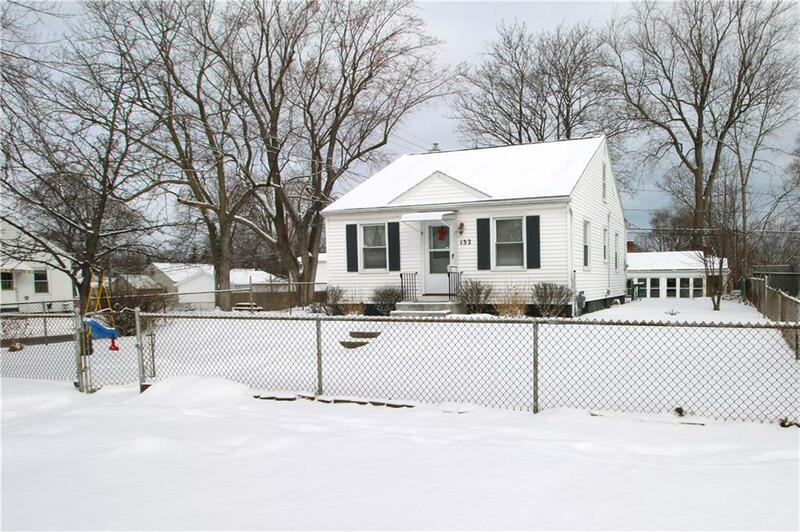 Outside the enormous fully fenced yard offers a double wide driveway, and 1.5 car garage with enclosed porch, that overlooks the whole backyard! It is ready for all your outdoor needs! Other updates and features include a high efficiency furnace, central air, vinyl siding and all vinyl windows! Tons of potential in the full, spacious basement and additional space on the 2nd floor! This one can be all yours! Don't miss out! Directions To Property: Take Dewey Ave To Mosley Rd. The House Will Be On The Right On The Corner Of Tait Ave And Mosley Rd.